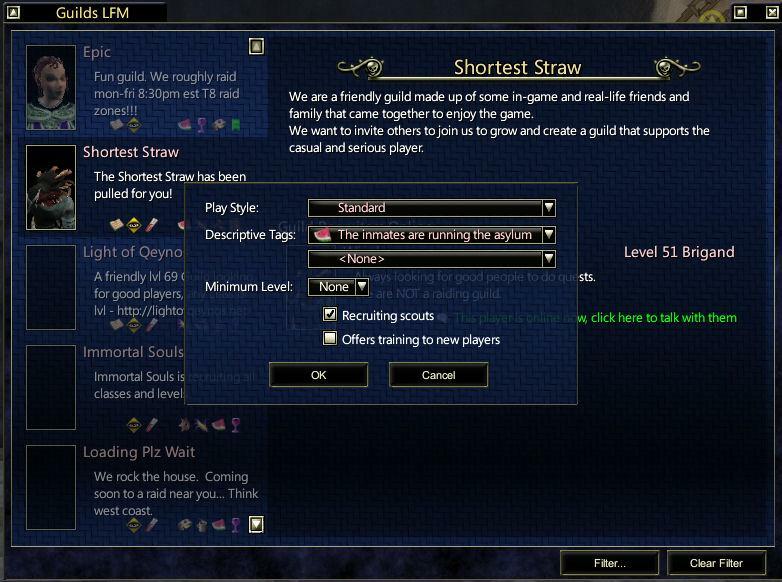 Modified Guild Recruiting files to include Filter options and MinLevel search features. Backup originals and copy these files into your existing Fetish custom UI folder. These files are based on FetishDarkRoyale, a skinned version of FetishNightFall. Files are FetishNightFall 9.9b compliant.